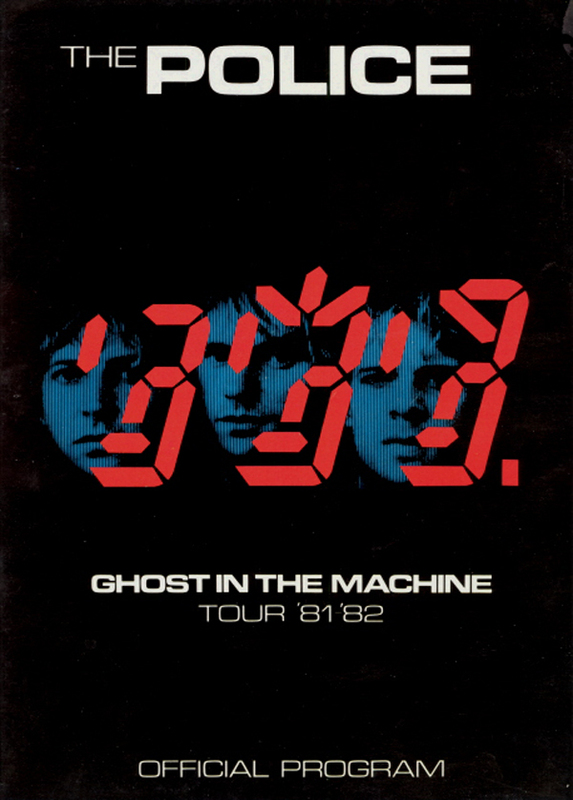 From left to right, each figure has a distinctive hair style Andy Summers, Sting with spiky hair, and Stewart Copeland with a fringe. 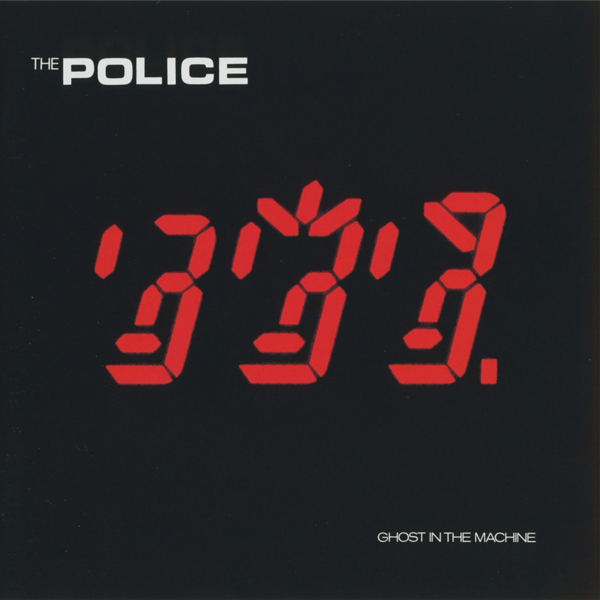 Here is each member of The Police behind his seven-segment digital display taken from the Ghost In The Machine ’81 ’82 Tour program. The image when reversed or looked at in the mirror seems to show a hidden 666 “The Number of The Beast” in the graphic. Check out the feelnumb.com exclusive animation of the album covers hidden message.